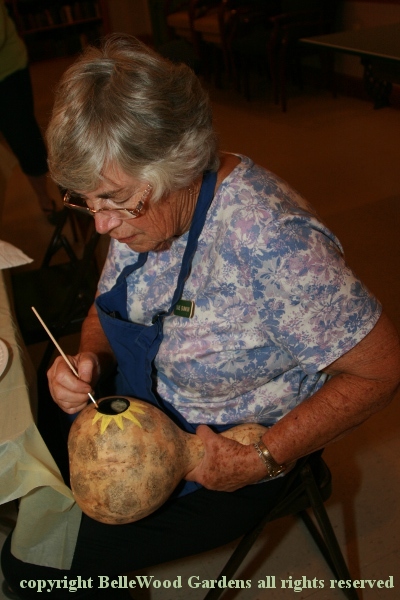 "What do garden clubs do? ", you ask. 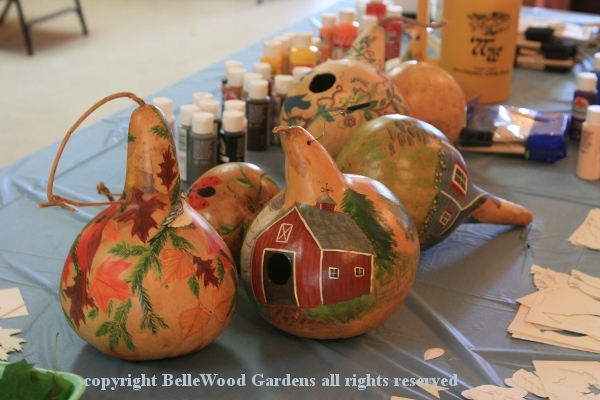 The Tohickon Garden Club has once-a-month meetings where we might hear a lecture, visit a garden, or make something. 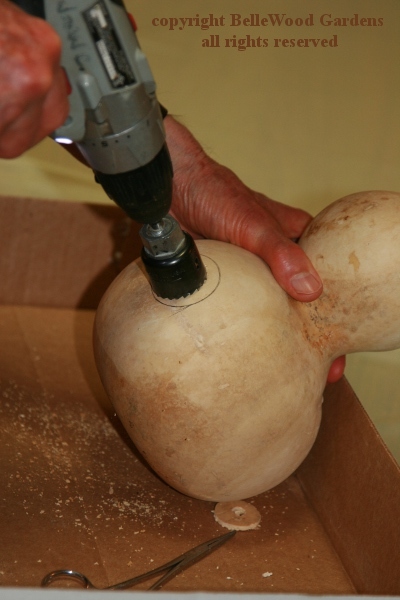 This time it's making a bird house from a gourd. 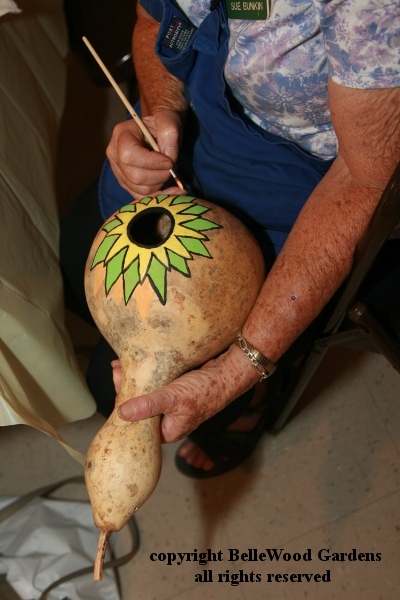 Ann, one of our members grows gourds that she crafts with. 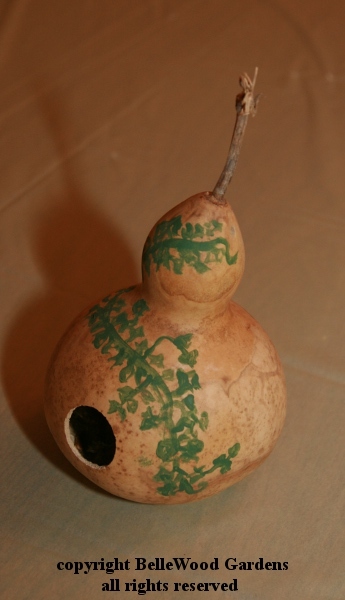 These well-dried last year's gourds will be drilled to provide a doorway for wrens or chickadee size birds, and also allow removal of the dry seeds. Small holes drilled at the top to string a wire for hanging. 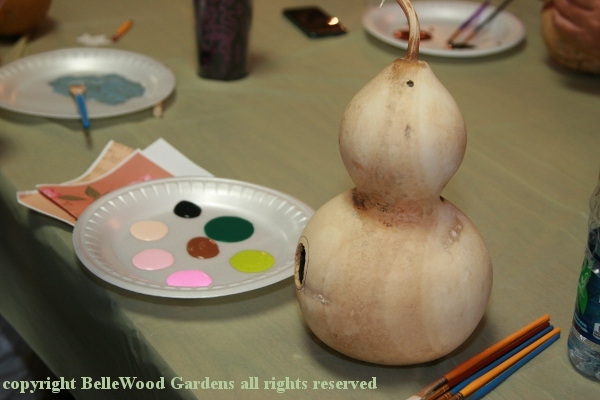 Paint to create decorate personalized effects. Once fully dry, at home, Ann reccommends a coat of outdoor varnish, especially if you'll leave the birdhouse outdoors over winter. Let's get to it! 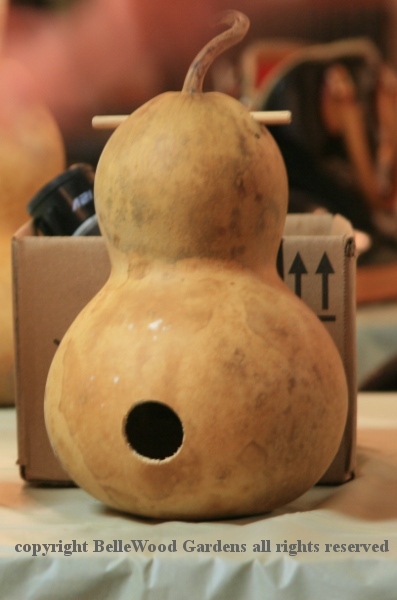 cups for water, Ann brough sample bird house for inspriation. a vertical position. Too high, and rain can get in. Done. Now comes the fun part - decorating. of each onto the disposable foam plate palette. black paint to the edge of the opening. 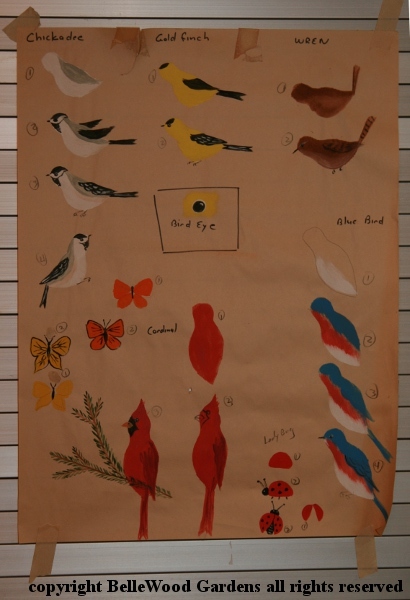 Ann brought a very helpful paint-a-bird chart. 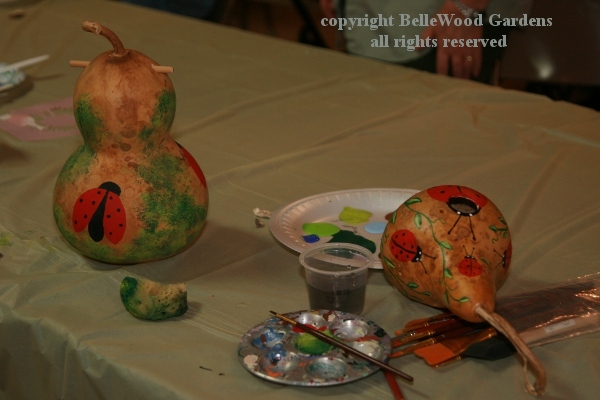 Inspired, Norene adds shading details to the bodies of her bluebirds. Joan admired Ann's ladybeetle sample, decided to make her own. can be elegant and attractive too. 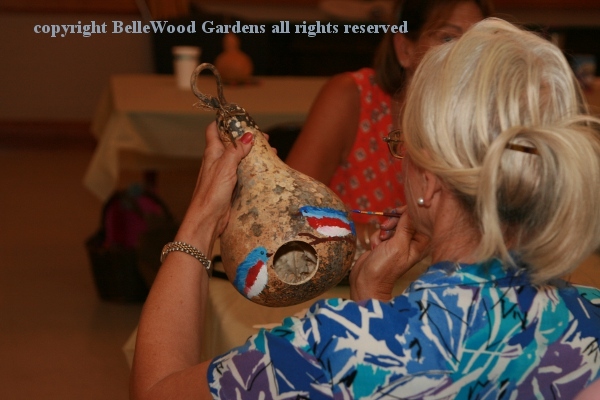 This is what our garden club did for the July meeting. And a good time had by all.